On a visit to Gino’s Pizzeria in Howard Beach, Queens on Wednesday, an irritable and apparently disturbed man from Ohio ate a slice of pizza with a knife and fork. He was ridiculed far and wide, because you can’t do that. On Thursday morning, he went on Good Morning America to explain himself. 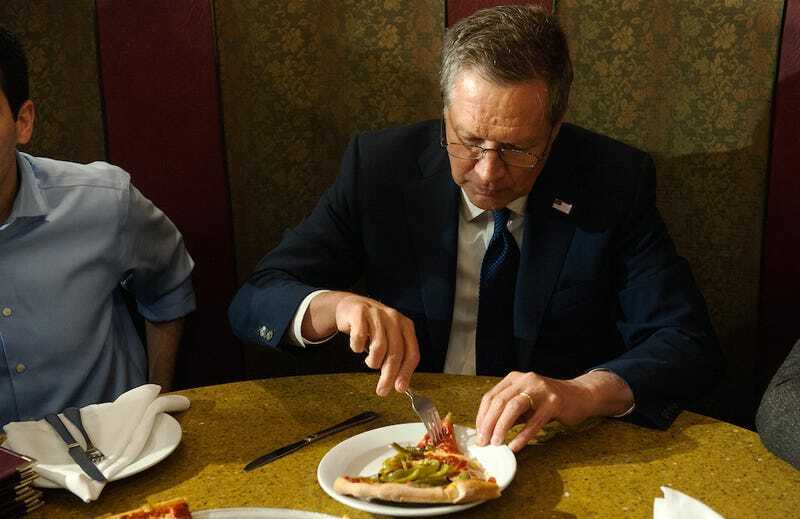 I will add that the pizza, pictured, does not look like a “scalding” hot slice of pizza, or one that would be difficult to eat at all, and while I’m sure this is John Kasich’s truth, I must completely reject it.